When you’re out of milk at midnight, where do you go to buy some? Answer: the convenience store. When you have multiple hard drives laying around and want to be able to easily access them without dismantling your entire PC, where do you go to do so? Answer: Thermaltake BlacX Urban Wi-Fi Edition. Thermaltake has answered the prayers of any computer builder who has so many hard drives that he cannot remember which is which. 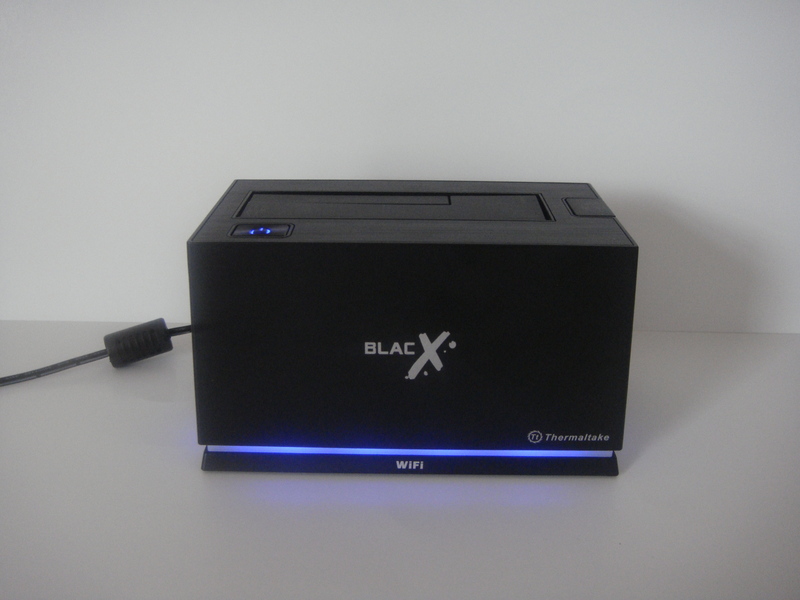 With the Thermaltake BlacX Urban Wi-Fi Edition, you are able to insert your hard drive into the docking station and then wirelessly connect to the console and there on your computer is everything your hard drives contains. If wireless is too slow you can prompt to utilize the blazing fast USB 3.0 connection provided. 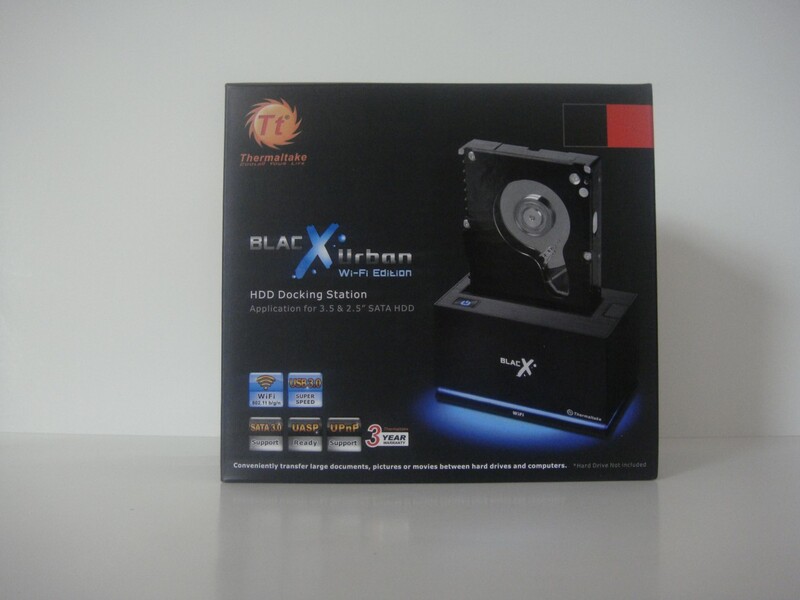 Thermaltake has continuously improved their popular hard drive docking stations over the years, adding features that have amounted to today’s BlacX Urban Wi-Fi Edition HDD Docking Station. Not only are you able to connect from your PC, but those of us with Apple or Android tablets are in luck as well. 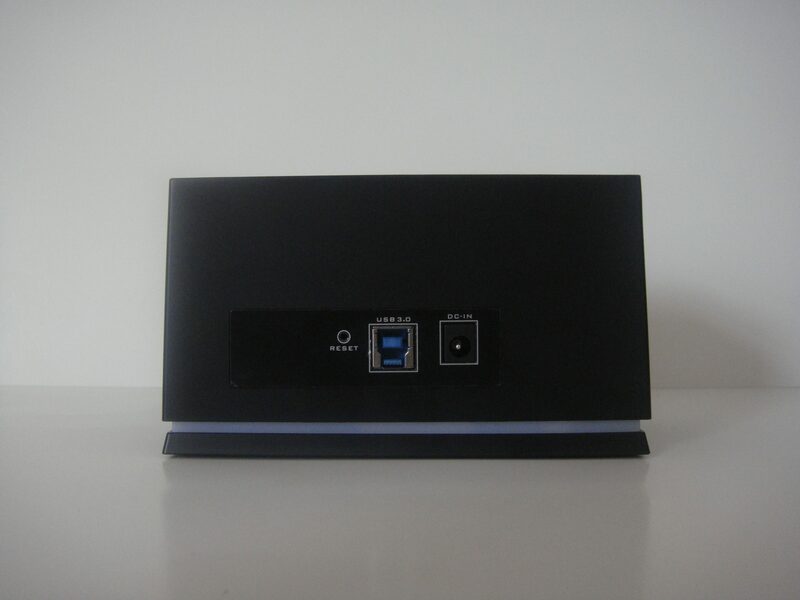 This docking station connects to any device using Wi-Fi, and multiple devices at a time. To aid the process of using the BlacX Urban with the use of an Apple or Android device, there is an accompanying “TtCloud” App that is available using its built-in connection over Wi-Fi 802.11 b/g/n. 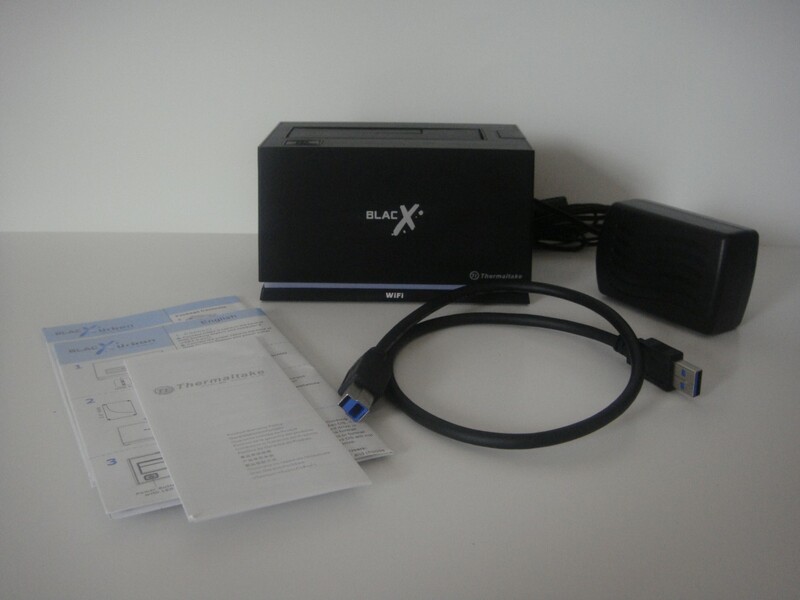 Included in the box is the docking system, power adapter, and a USB 3.0 Cable. Thermaltake has included a brief, easy-to-follow, illustrated instruction manual that will set you up and get it running in a matter of minutes. The dock itself is a discrete block with an elegant black plastic finish all throughout except the top where it has a brushed aluminum finish. When powered on, it displays a nice blue glow that tells you whether the Wi-FI is running and whether the dock is on. 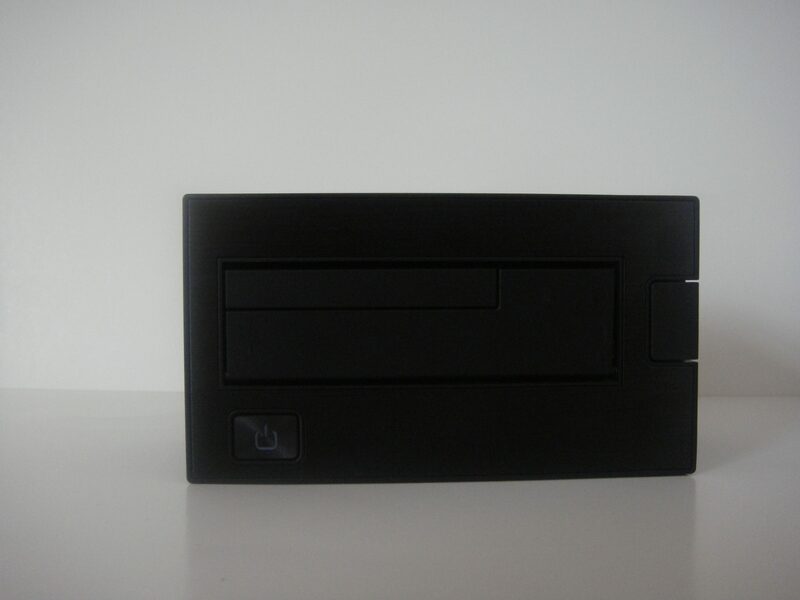 To protect your hard drives during ejection, Thermaltake has provided an eject button on the side of the dock to safely push the hard drive off the connector. 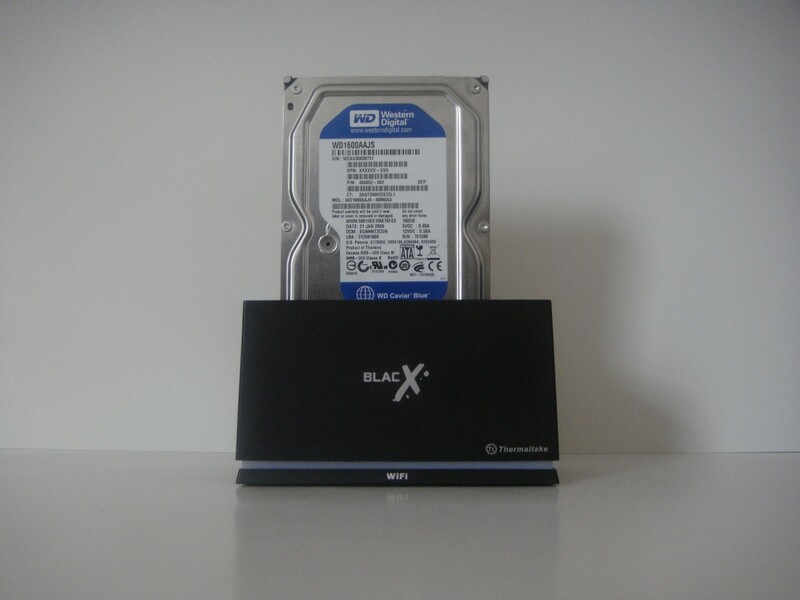 A 3.5 or 2.5 inch hard drive both fit snuggly into the BlacX Urban, providing a safe dock for your precious data. A feature that was notably missing is the inclusion of the silicon jacket that was meant to protect users from hot hard drives after extended use.